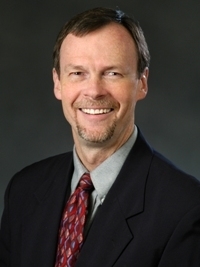 William Tierney was named president and CEO of the Regenstrief Institute, an informatics and healthcare research organization affiliated with and located on the campus of Indiana University School of Medicine in Indianapolis. Pending approval from the Indiana University trustees, Tierney also will serve as associate dean for clinical effectiveness research at the medical school, of which he is a graduate. Tierney, 59, was one of Regenstrief's first post-graduate trainees and studies the use of computer-based interventions to improve the quality and lower the costs of healthcare. He is chief of medicine at Wishard Health Services in Indianapolis. He is scheduled to assume leadership of Regenstrief in October, taking over for Thomas Inui, who will continue his work with Regenstrief in global health research. Tierney will step down as co-director of the Academic Model Providing Access to Healthcare Research Program, an Indiana University-led consortium of universities providing medical care and doing public-health work in Kenya.